The SMSU Softball team will officially begin their 2019 season on Tuesday, traveling to West St. Paul for four games in their dome. This is the team’s first season under the direction of head coach Bailey Bouman. Bouman is no newcomer to the game of softball. She’s a native of Pipestone, Minnesota, where she was a standout player for their softball team, earned all conference honors five times, and was a three-time all-state honoree. 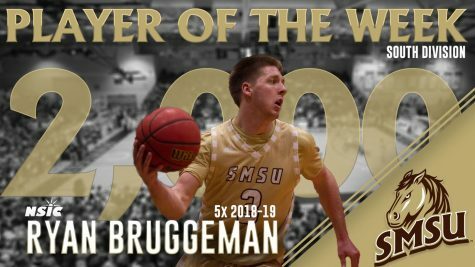 After graduation, Bouman continued her student-athlete career at the University of Sioux Falls. She pitched four seasons for the cougars. Upon graduation, Bouman again stayed with the game and became a coach for the Pipestone 18U softball team for two seasons. She was an active member in the Sioux Falls Fastpitch Softball Association. seasons with the women’s basketball team. 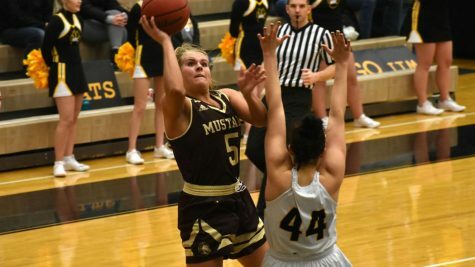 Once she graduated, she was again hired to be an assistant women’s basketball coach, but at Dordt College (Iowa), but later returned back to SMSU to be where she is now. The team that Bouman is set to coach this year is made up of 12 players and seven first-year students. Five of the players are seniors, including: Abbie Decker, center fielder, has started every game for the past two seasons. Last season Decker had four doubles, three home runs, and 16 RBIs. Shelby Crank, pitcher/infielder, has led the team with 17 starts on the mound and has a 6-7 record. In 2018, she had a season high of 11 strikeouts with no walks or a victory against MSU Moorhead. Athena Golling, pitcher, has played in 25 games, 11 times starting in the circle. She also has two saves and 18 career victories. Sara DeSmet, outfielder, has started 42 times out of her 43 game appearances. She has hit four doubles, one triple, and 13 RBIs. And Alex Reak, infielder, has appeared in 24 games and started 17. She finished the 2018 season with five home runs, two doubles, seven runs scored, 12 RBIs, and a batting average of .216. Grote, infielder, started every game last season and had a batting average of .324. She had eight stolen bases, leading the team, and scored 25 runs. She also tied for the longest hitting streak on the team—10 games. Cull had seven victories on the mound last season, finishing 7-10. She threw a team-high of 106 innings and had 94 strikeouts, the highest on the team. Krog plays the outfield and has started 42 games. She finished last season with three home runs, two doubles, two triples, and a batting average of .319. Hentges, infielder, batted .276 last season. She had four doubles, three home runs, and 14 RBIs. Tomlinson, also an infielder, started every game and hit seven home runs—the most on the team. She also led in RBIs with 30. Her batting average was .329. Johnson started every game her first year and with a team high batting average of .341, a team-high of 28 runs, and tied for the lead of 11 doubles. Schliinz, infielder, finished last season with two double, two RBIs, and a .285 batting average. The seven first-year students include five that were signed, and two that walked on. junior (178) and senior (189) season. Olivia Gasca comes from Sioux Falls, SD where she played both infield and outfield. Her senior season she batted .400. She was also a three-year letter winner in both softball and basketball. Makayla Hoselton was a pitcher and infielder at Highlands Ranch, Colorado. She finished her high school career ranking third in team history for RBIs and doubles, and fourth in home runs. Hoselton also pitched 58 innings with an 8-0 record and one save. Lileya Kebos is from Las Vegas, NV where she played the outfield. She batted .423 in 61 career games and brought in 57 RBIs. Kebos was also named Sunset All-Region and Academic All-State twice. Kristen Neumann played the outfield and is from Brant Lake, SD. She batted .415 her senior season and had 17 stolen bases. Neumann was also class valedictorian. Lauren Klein walked onto the team and is from Sleepy Eye, MN. Her position is the outfield. Klein was a four-year letter winner in softball, but also was a letter winner in hockey, tennis, and cheerleading. Kaylea Van Regenmorter also walked onto the team this season. She is a catcher from Maurice, IA. As a senior she batted .463 and had 27 RBIs. She was a four-year letter winner in both softball and track and field. These 19 girls and coach will be hitting the field at 10 a.m. on Tuesday, play- ing against MSU Moorhead. Their season will consist of 16 home games and they welcome students, staff, and faculty to cheer them on.